Stunning sea outlook over Bream Bay, including Whangarei Heads and Hen and Chicken Islands. Sunny North-facing home in quiet cul-de-saq overlooking Lang Cove. Modern style open plan beach home. Back of bach opens to native bush. On the East Coast between Waipu and Mangawhai, both famous surf beaches. Relaxed atmosphere. 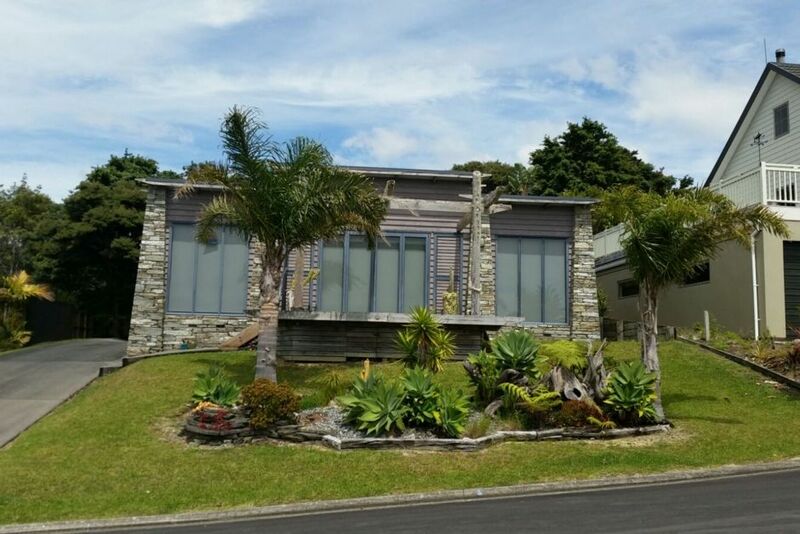 90 minute drive North of Auckland, 40 minutes from Whangarei, 7 minutes North of Mangawhai, 3 minutes to Waipu Cove, and close to 2 golf courses, restaurants and Pizza Barn. Great fishing. Surfcast off the beach! Short stroll to one of Northlands most beautiful white sandy beaches, Langs Beach - a safe swimming beach for children, with a gentle surf. Smoking allowed outside only. Linen can be provided for $10 per person. Families or couples given preference. My family love the sea. My brother owns a local fishing charter boat at Marsden Cove. Although I live in Auckland, I always love returning to the beautiful north, where I come from. My family have had many holidays here. We have great memories of time spent beaching, swimming, walking and fishing at langs beach. My now adult children still surf at Waipu, swim at langs and rollerblade the streets around the stone retreat bach. It represents an escape from the world and is a fun place to be. Excellent dining at the Pizza Barn, Cove Cafe or Smashed Pipi, all nearby. Surfcast off the beach! Location was reasonably close to the beach and the property was clean and tidy. Very clean and comfortable bach. Very clean and comfortable bach. We enjoyed our weekend. Thanks. Well located property ideal for 2 couples. Amazing view, open and spacious, friendly neighbourhood with cute dogs running up and down the street, fully equipped kitchen, ideal for warm and cold seasons.